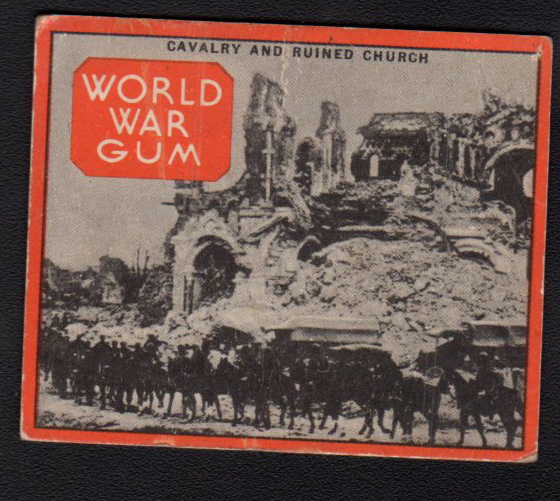 The 1933 Goudey World War Gum documents the events during World War I. 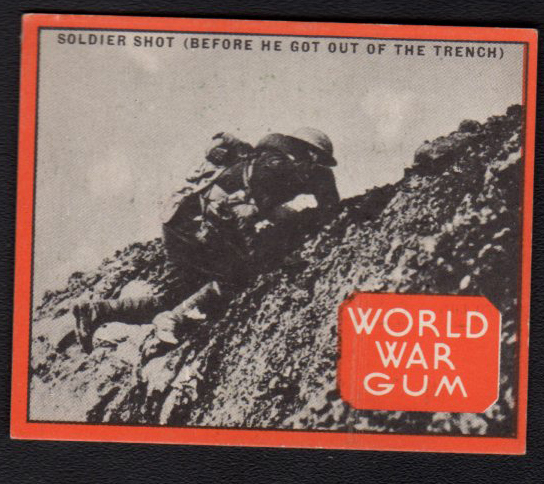 The cards show black and white photos on the fronts of war scenes and pictures along with the title and the words World War Gum along the bottom. 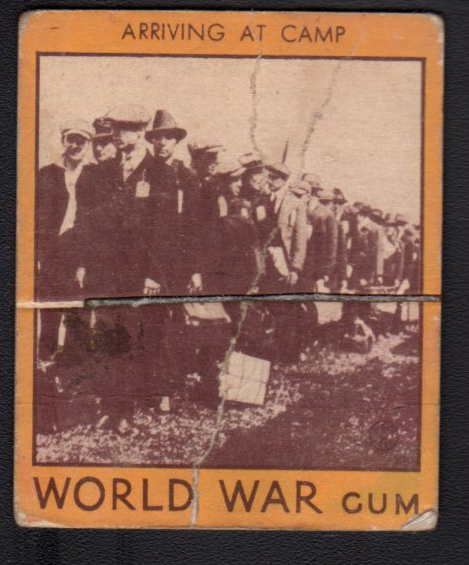 The backs have the card number and a description of the event. There are 96 cards in the complete set. 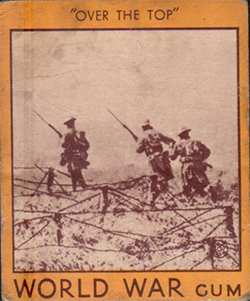 Cards number 1-48 have buff color borders on the fronts while card numbers 49-96 have orange colored front borders. 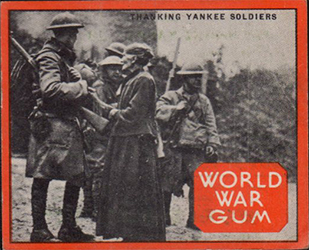 Many collectors believe that this was the first bubble gum card set issued by Goudey as it came out in early 1933. The cards measure 2-3/8" by 2-7/8" in size.